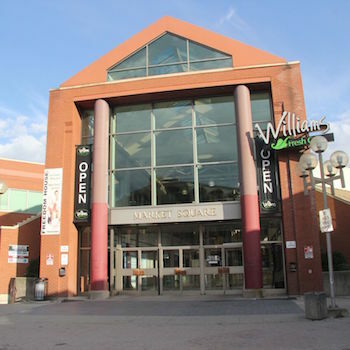 Brantford – Wilfrid Laurier University is inviting the public, Laurier community and members of the media to an open house Monday, March 26, which will unveil plans for the Market Square Mall in Brantford. Laurier plans to transform the former shopping mall into a vibrant home for academic, creative and commercial activities. Moriyama & Teshima Architects created concepts for the redesign following a yearlong consultation and planning process. The new proposed design will turn Market Square into a prominent anchor building that becomes a vibrant hub for student life and community engagement in Brantford. All are welcome. RSVP not required.